The FFA (National FFA Organization) is an integral part of the total Agriculture Education Program. This intra-curricular organization provides students with opportunities to develop premier leadership, personal growth, and career success through agriculture education. The South Jefferson FFA Chapter is a chartered member of the State and National FFA Organizations The National FFA Organization consists of over 669,000 members in the United States as well as Puerto Rico and the Virgin Islands. The South Jefferson FFA conducts over 80 different events each year focused on Students, the Chapter, and the Community.Chapter, State, and National membership in the SJFFA is open to any student in grades 7 - 12th who are enrolled in an Agriculture Class and are conducting an SAE or Supervised Agriculture Experience Project. Students in 6th grade can join the junior high FFA and be chapter and state members only. Students in 7th and 8th grade who are taking technology class can be members of the chapter, state, and national FFA organizations. A student can be a member of the FFA for three years after graduation from high school. To learn more about SJFFA or to view a calendar of FFA events...click on the links under "FFA" on the left. The South Jefferson FFA Alumni Association is a support group for the agriculture program and the FFA as the South Jefferson High School. The SJFFA Alumni membership consists of adults from the community who want to support the student's agricultural education and foster an improved leadership experience for all students in the agriculture education program at South Jefferson. 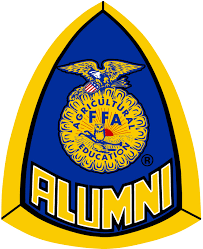 Being a past member of the FFA is NOT a requirement for becoming a SJFFA Alumni Member. members AND none members in worthy activities. 3. Promote greater knowledge of the agriculture industry and support agriculture education. 4. Cooperate with the South Jefferson FFA Chapter, New York FFA Alumni, and National FFA Alumni. 5. Promote and maintain an appreciation of the American Free Enterprise system. 6. Promote the personal development aspect of the FFA. leadership training camp - Oswgatchie - week long stay. Leadership Conference - Washington DC - week long conference. FFA Convention in Indianapolis, IN. Leadership and Scholarship Award. Money pledged in this account will help finance this award. official FFA jackets which they must have to compete in contests. our State Leadership Training Camp.